Every BODY has a story to tell and Message of Massage is here to listen to your body’s story. The philosophy at Message of Massage is based on the belief that your body sends messages. I use these to help bring you back into balance. My skill is to listen to those messages and using various modalities, assist in bringing your body and mind into that place of balance. 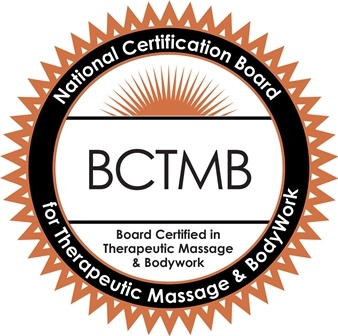 As a board certified bodyworker and therapeutic massage therapist I define bodywork as a general term for practices involving touch in both Eastern and Western practices where the practitioner may use manual and energetic techniques to promote health and healing in the recipient. Most bodies respond better to this gentle persuasive touch resulting in an overall reduction in body tension, stress and tightness. Message of Massage is located at 80 Garden Center Bldg A Suite 324 Broomfield, CO 80020. From the intersection of Hwy 287 and Midway Blvd head east to the first stop light then turn left. You are in Garden Center. My building is in the North West section. Enter the building on the south side, go left to the elevator then up to the 3rd floor. My office is the corner to your left. Reiki and Cranio Sacral therapy are 2 modalities that I encourage everyone to try. They are both gentle and performed on fully clothed persons. Check out each tab for more information. For your convenience online scheduling is available for all services. Click on the hours or services pages to request an appointment. Your will receive an email confirmation that same business day or the next morning. I look forward to meeting you and assisting you in achieving your bodywork goals.